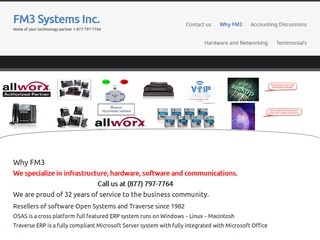 Servers, Phone Systems — U.S. and Canada — FM3 Systems Inc.
FM3 Systems Inc. Provides high-quality communications equipment and services, from phone systems to server installation in the U.S. and Canada. Call us now at 602-288-1416.